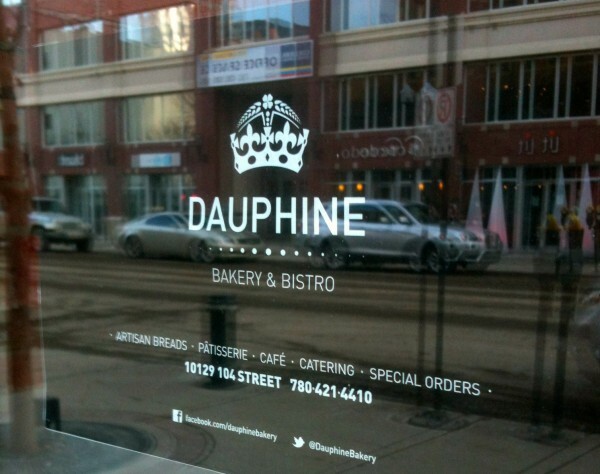 Because of an unfortunate trademark infringement lawsuit, The Queen of Tarts, a burgeoning force on 104 Street, covered its old signage in January, and, quite quickly, was rebranded as Dauphine Bakery and Bistro. Fortunately business remained strong. By my mid-afternoon arrival, soups & sandwiches were sold-out, but a wide variety of baked good remained. 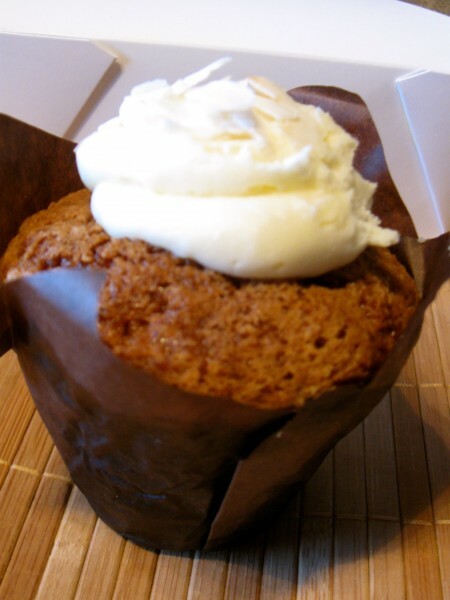 When it was still The Queen of Tarts, I'd eyed the carrot cake tulips through the glass, but always opted for tarts -- they were the specialty after all! No longer restrained by the name, I jumped at the chance to try the last remaining carrot cake tulip, delectably moist and topped with a perfect cream cheese icing. 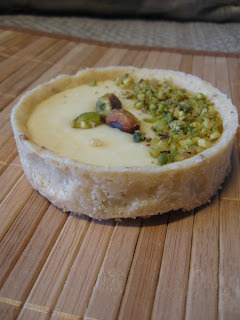 The white chocolate pistachio was beautiful, with a perfectly crumbly crust. Its white chocolate innards contrasted beautifully with the pistachio. Lemon curd tart was a bit of a disappointment. 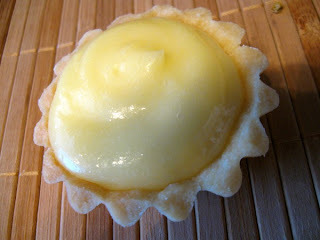 Though I generally love the tartness of lemon, this tart tasted curdled, without the refreshing lemony balance. 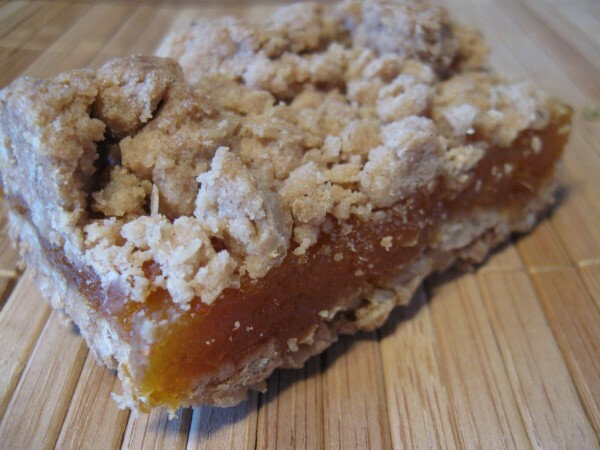 The preserves in the apricot square were delicious. I found the crumble bits a touch dry for my tastes; however it may have been because I bought this later in the day. What's in a name? 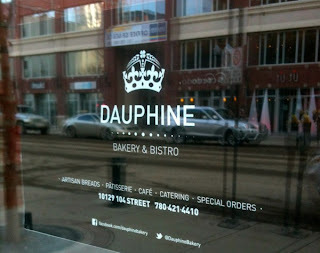 Whether the Queen of Tarts or Dauphine, the treats here are just as sweet & tasty! It's evident that much care goes into the food produced at Dauphine, and there is plenty of selection. Indulge!